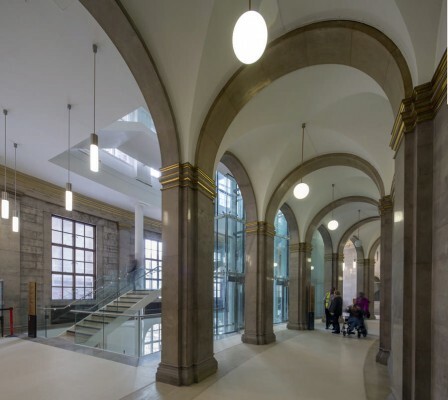 Through a series of controlled but fundamental interventions, Manchester Central Library is being transformed, updated and sympathetically refurbished on the existing site and within the existing building envelope. 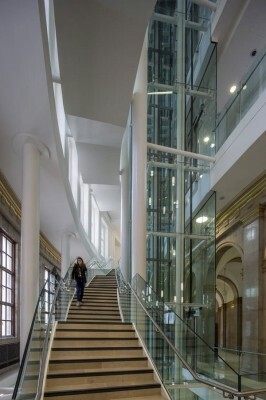 The design, created by Ryder Architecture, has been driven by Manchester City Council’s commitment to reshaping the way library, information and archive services are delivered in central Manchester and introducing services and facilities that go significantly beyond the traditional range of library services provided in the current building. To develop a new Target Operating Model (TOM) fit for purpose for a 21st century city – new services, delivered differently for the people of Manchester and beyond. To improve customer services for residents –library and archive services and access to other council services. To deliver a service transformation programme in line with the wider town hall transformation programme – doing things more efficiently with a strong emphasis on customer self-service for library transactions. Ryder’s architecturally ambitious design aims to transform a beautiful, well-loved but internally hamstrung building into a cohesive and coherent delight, able to fulfil its practical purpose for decades to come. 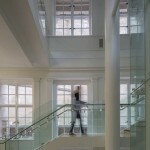 The scale of the two main interventions – removing the book stacks from the core of the building and installing a new vertical circulation provision – was considerable, likened to removing the fruitcake filling from a wedding cake and replacing it with sponge, all without disturbing the icing. 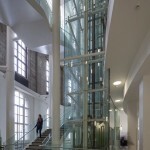 Yet scooping out the entire innards of the building and putting in a radically different new structure was vital to renewing Manchester Central Library, making a completely accessible, legible and uplifting space whose inherent flexibility would see it loved and used for its next 80 years – and beyond. 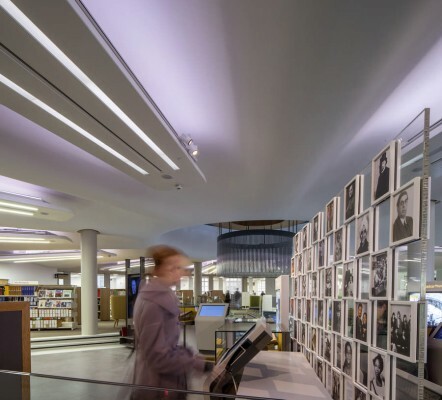 The Central Library will become the home for a new integrated archive service, Archives+, the city’s treasure house and the main knowledge hub for information. The design aims to retain and enhance the original look and cherished ambience of this much loved building whilst providing it with modern facilities and a continued relevance for the next part of its life. 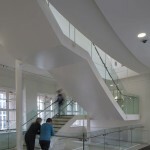 For the collections, the design aim was to give the public direct access to one coherent and integrated collection utilising as much of the building footprint as possible. 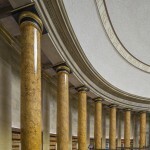 When the architects visited the building in its original layout, they were struck by how easy it was to lose their bearings just walking around one floor. 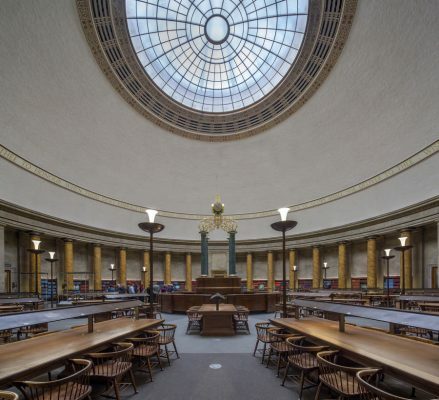 The beautifully refurbished and extended Central Library will open on Saturday 22 March 2014. 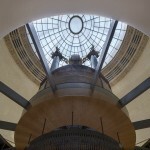 The historic features have been sensitively restored and transformed, bringing the building up to twenty-first century standards. 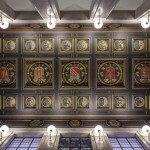 A seminar on the role and design of libraries hosted by Manchester University for the Royal Institute of British Architects’ Higher Education Design Quality Forum (5 May) attracted over 80 academics, librarians, estates directors and architects. The event was sponsored by Laing O’Rourke and opened by Professor Rod Coombs, deputy president and deputy vice chancellor of Manchester University. 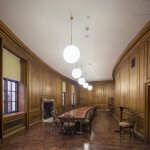 It was chaired by John Dolan OBE head of community regeneration at development company Eye. Speakers were Maggie Barlow Ryder Architecture consultancy director and Lee Taylor, Ryder, architect for the redevelopment of Manchester Central Library, Jo McCausland client programme manager for Manchester Central Library and Fred Garnett visiting research fellow at the London Knowledge Lab. 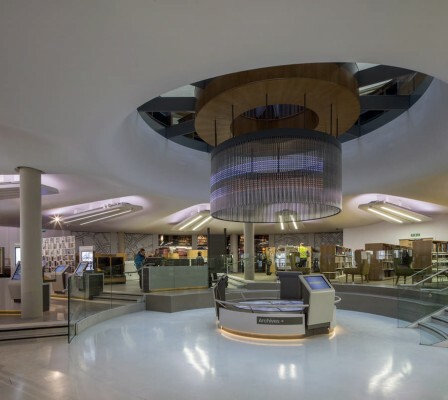 Maggie Barlow said: “The integration of new information technology has become a catalyst that has transformed the library into a more vital and critical intellectual centre of life in our cities, schools, colleges and universities. Where institutions have worked in partnership with architects, planners and stakeholders usage has in fact increased despite predictions. Introducing the event John Dolan asked if the library concept in all sectors needs to move to a new model that is both physical and virtual and focussed on learning not just resources – higher education has the capacity to lead a collaborative approach to innovation. Jo McCausland spoke in support of the continuing relevance and importance of the library as place but within a revitalised organisational model, with renewed spaces and resources and a transformed relationship between staff and library members. She made the case for the co-existence of print and technology based resources supported by inspiring and uplifting public library spaces – perhaps fewer and bigger and better in the future – and a renewed role for library staff as ‘community coaches’. The journey was summarised as from ‘information to transformation’, from ‘collections to connections’ and from ‘delivery to discovery’. Fred Garnett looked at the history and development of knowledge taking in emerging digital trends to introduce the concept of the ‘unlibrary’. He talked about the need to create new context-responsive tools for new forms of participation. A lively discussion followed between service providers and estates managers covering the fundamental role of libraries across sectors from academic to community and what we need from them in the 21st century. “It was clear that people across all sectors value libraries as vital ‘heart’ space where they can come together to engage in and around knowledge based activity, whatever form that takes,” commented Lee Taylor. 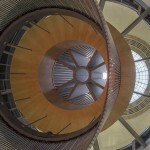 Photo refs: the Central Library is circular, on the right ; the Town Hall is triangular in plan, the Town Hall Extension is roughly C-shaped between the two.